I had the pleasure of trying out some products from a company that came recommended to me from another greenie mom. 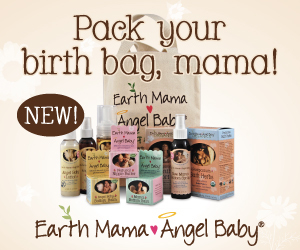 True North Organics is made in Minnesaota in small batches using high quality certifid organic ingredients. It’s one of those product lines that you know are just safe all around. Simple ingredients, no synthetic chemicals, no “stearates” or “glycols” or questionable terms in the list of ingredients. True North Organics sent me a little pile of their Coconut Lime scented products (because I am a sucker for coconut and add lime to it and I just squeal like a teenager at a Justin Beiber concert). I samples the Shower Gel, Body Butter and Lip Balm and love all of them. Her line includes other scents like Lemon Lime, Raspberry Vanilla, and Orange Lavender. Their Shower Gel foams up well and doesn’t leave any oily residue or powerful scents behind. I have been using their Body Butter at night too. It has a light whipped consistency and once applied turns to a light oil coverage… which is ideal for feet and hands at night. I have trouble with body butters during the day but if you have very dry skin this might be he cure. The scent, again, is refreshing and light. True North uses certified organic ingredients, reccleable packaings and even prints their labels on eco-friendly paper with water based inks. All their shipping materials are recycleable and biodegradable. They also carry a line of baby care products called Lil’ Sprout that includes a shampoo/body wash and body butter for baby. A lovely little company! Get Some: You can purchase any of their great products from their website TrueNorthOrganics.com! A while back, a reader asked me about natural sports products. She was a running and wanted ideas for some alternatives to the traditional stuff like Body Glide. My husband is an avid runner. (We call it avid, most other’s say he’s crazy) He runs 10 miles a day on average and does up to 30 on the weekend. Needless to say he experiences a significant amount of chafing. He is married to his Body Glide and isn’t up for debating something more natural. I have also started running but not nearly as much as he does. So i am anticipating minimal chafing but I’m sure it will happen somewhere between running 7-13 miles at a time. I’d like to not have to slather petrochemicals all over myself to avoid skin irritation. The reader who emailed pointed me to a company called Chomper Body. The line was created by active people who wanted to create a line of products that were healthy and more pure. Athletes want to have a healthy body, so why slather unhealthy chemicals all over it? I was given a stick of their Silke Anti Chafing balm to try out. It comes in a deodorant stick style tube for easy application. It glides on and stays put in the spots you need protection. My ultra runner husband says it does wear off but I think that is true of all chafing balms. I used this on a recent 6 miler and came away chafe free. It has a very subtle scent that isn’t noticeable when being active. It goes on clear and doesn’t leave any white marks on your clothes. They also have a really rad lip balm that I love (licorice scented – I love this and I don’t even like licorice), Muscle Butters, Booty Balms, specialized balms for both men and women, as well as Rest Day Massage Oils. Mmmmm! Ingredients: Beeswax, Shea Butter, Cocoa Butter, Sunflower Seed Oil, Grape Seed Oil, Calendula, Vitamin E, Rosemary and Lavender Esential Oils. It got quiet around here. I kind of took an unofficial summer hiatus from beauty reviews but I am itching to get back into into and have a lot of new things to write about that I experienced over the summer. I want to rev up this blog somewhat too and make it more of it’s own animal. In the meantime I want to start telling you about some of the products I checked out this summer. Since summer is winding down (and for some of us it’s officially over – my kids have been back to school for 2 weeks already) and thoughts of those cool crisp Fall nights are on my mind. And so is chapped lips. Many of you know about my obsession with all things lip balm so this review won’t come as a shock. My friend Andi of Good Things Green Things sent me a tube of Purple Prairies Spearmint Shimmer Lip Balm a while back . If you haven’t seen her shop you should check it out, she has a great selection of safe skin care, hair care and body products from some of my favorite companies. As far as lip balms go, it glides on smoothly and has a pleasant minty scent that isn’t too powerful. But what I love is that it has a mild pink shimmer to it so instead of just a plain lip balm it gives you a little oomph. It’s one of my favorite new things and I carry it with me all the time. Who doesn’t need “oomph” on a daily basis, right? The base ingredients are very simple: Organic Olea europaea(Olive)fruit oil, organic cera alba(beeswax), unrefined organic butyrospermum parki fruit(Shea Butter), coconut oil, mentha piperita(peppermint oil), mentha spicata(spearmint oil). It’s handmade in the USA and it works just as well as any schmancy lip balm you can find. Love it. I have known about Juice Beauty for a long time and have tried one or two products in the past. It’s been a while though and they have some new things on the market. Juice Beauty provided me with a couple of samples of their organic skin care and I’d like to share with you my experiences with them. Juice Beauty has a range of products that cater to every skin type. My skin type tends to lean toward sensitive and even though I could use some anti aging help, I am always skeptical of using anything for fear that I might irritate my skin. The first product I tested out was their SPF 30 Mineral Light Moisturizer. This is a great alternative to chemical sunscreens and provides a little coverage as well. It’s pretty sheer, so it doesn’t hide everything but it has enough of a tint to be a great base for your make up. It utilizes Titanium Dioxide to provide SPF coverage and doesn’t have any whiteness to it. It blends well and isn’t too heavy. I have to use it sparingly because too much makes me look a little shiny. I think I might prefer the Sheer version personally but this is a good tinted moisturizer with the added benefit of SPF for those looking. I also tested out their Cleansing Milk. Traditionally I used to be the type of person who thought foam = clean. When I learned that foaming action meant chemicals I changed my tune. I thought I wouldn’t like a “milk” for washing my face but I actually love it. It’s super gentle and leaves me feeling clean and moisturized. Paired with a baby washcloth this cleanser really does a good job at removing my mineral make up. The use of this product has actually improved the appearance of my mild rosacea and has softened my skin. What I love about Juice Beauty is they use organic ingredients and cater to a wide variety of skin types and problems. What I don’t love is that while they use organic ingredients, they still use some ingredients that send up a flag for us Greenies. Phenoxyethanol and benzyl alcohol are among some of the ingredients lists. Depending on how strict you are with your products, this may or may not be an issue. They are free of he biggies like phthalates, parabens and PEG’s though. A few of their products are actually USDA Certified Organic. As far as organic beauty products go this is a decent option – just read labels carefully if you have concerns with some of the ingredients. EWG Skin Deep Rating: Not all of the products they carry are in the Skin Deep database but they vary in score from a 1-3 which is pretty low. To give you an idea, their Organic Facial Wash scores a 2. For as long as LovelyMama has been around, people have been asking us for a safer facial moisturizer with an SPF of at least 30. And at the time, the most of the recommendations were to wear an SPF of 15. Well, John Masters Organics realizes that just isn’t enough (something all of us realized a long time ago). I have been having some laser treatments on my face for age spots. And people, I’m only 35. So while I totally am in the age gracefully camp, I’m not going down that early. Not without a fight. Because of the costly procedures, my esthetician has been badgering me that I now have to wear an SPF of at least 30, on my face, every single day. At first, I was like, yeah yeah. I’ve long gone on about not being in the sunscreen camp, for daily use, as to not block absorption of vitamin D. If I’m going to spend all day outside, I will apply apply it until the sun has set. But if I’m going to spend an hour in the sun playing with my kids, I generally didn’t wear the sunscreen. But then it dawned on me: An hour here, an hour there. We spend A LOT of time outside in the summer and all that time adds up. So I accepted my fate and invested in one of my favorite brands: John Masters. This is by no means cheap. A 2 ounce bottle is about $32. Ouch, but it is wonderful. It coats evenly, leaves absolutely no white, or ghost looking mask to it. It moisturizes perfectly. My face feels soft and not at all greasy or heavy. A big plus in my sunscreen must haves. I realize that not everyone wants to spend as much on a sunscreen, and there are cheaper alternatives out there. I’ve used Badger on my face, and it works well but it is a little heavy and greasy. It was fine when we went on vacation, and I do use it on my body. It’s our go-to sunscreen for the summer. But for every day facial use, the heaviness of it on my face would drive me nuts. I think I learned about these EOS lip balms on Green and Clean Mom a while ago and thought they looked cool. How neat to have a lip balm in a sphere shape. As the Lip Balm Queen, I could not let it go that there was a lip balm out there I haven’t tried. Coincidentally, while traveling last November I spotted one in a Happy Harry’s (Like CVS but in places like Delaware) and snatched two up to try out. Three of these lip balms are USDA Certified Organic (90% organic ingredients) and utilize shea butter and jojoba oils to keep your lips moisturized. I love the shape of the balm and makes it easy to find in my tote bag. My toddler thinks its a bouncey ball so it gets thrown but it keeps its shape and doesn’t come apart when it hits the wall. Not that I make a habit of it. The top half screws off and reveals a smooth bubble of lip balm. It goes on smooth and smells fruity. One of the flavors I picked up was Summer Fruit and it has a soft fruit scent. It doesn’t go on as smooth as other lip balms and I suspect it has a slightly more “waxy” feel to it because they need it to be a bit stiff to stay in that ball shape. It doesn’t particularly last very long compared to a Badger Lip Balm or a LuSa Organics lip balms (my favorites and ones I carry with me all the time). My only disappointment with the product really is the Lemon Drop version. I purchased the Lemon Drop along with the other one I chose and didn’t realize it has an SPF of 15. Initially I was excited because it’s not easy to find natural lip balms with SPF. Since these were certified organic I assumed it had a bit of zinc or titanium oxide. Wrong. The Lemon Drop uses Octinoxate 7.5%, Oxybenzone 3.0% as the sun blocking ingredients. Oxybenzone is an endocrine disruptor which can affect the nervous system, has been linked to cancer in some laboratory studies, and creates free-radicals when exposed to the sun which are harmful. Don’t believe me? Ask the EWG what they think of Oxybenzone. EOS also has a “Medicated Tangerine” that seems ok but it contains Phenol 0.5% and I don’t know much about that ingredient to make a judgment but Phenol rates a 9 in EWG’s Skin Deep database so I’d probably skip it. So aside from the SPF and Phenol issue these are good little lip balms in a fun container. Just avoid the Lemon Drop and the Medicated Tangerine flavors. Get Them: I found these at CVS and similar stores. You can also purchase them from their website Evolution of Smooth. Even though I don’t wear much makeup (or hardly ever on a daily basis), one of the #1 main things I have to have in my minimalist, severely lacking, pathetically sized make-up regime is blush. I would liken my love of blush to be akin to Kathy’s love of lip gloss, and lip balm. Though unlike her I don’t have a billion containers of blush lying around. Especially since greening my make-up collection most of it is powder and I don’t really want to take the risk of my blush exploding in my handbag. But I need blush. It makes me feel alive and happy, in an otherwise, very pale existence. I love having a sun kissed look. But then! Oh! Revolution Organics came into my life in the form of Freedom Glow Beauty Balm. It’s a lip color, it’s an eye color, it’s a blush! It’s a multi purpose bit of heaven in a tube. Made from cold pressed olive oil and organic beeswax, it goes on really smooth and blends in perfectly. So I don’t ever worry about looking like a kewpie doll. I haven’t used it on my lips yet (I’m horrible with remembering lip color or gloss), but the sun-kissed color I purchased is perfect for giving you the rosy look to your lips, whereas bronze would be perfect for a night on the town. Revolution Organics has great products that are nearly guilt free (the highest rating in skin deep on any of their products is a 3, which isn’t bad at all), and they’ve really cornered the market with this product because I haven’t seen anything like it anywhere else. Get it: You can order Freedom Glow Beauty Balm, directly from Revolution Organics website. The price is a little steep at $34, but it’s a quality product, and I’m considering ordering another just to have one to keep in my handbag. I’m not sure where you live. But if it’s someplace warm, with the exact perfect amount of humidity to give you the worlds most perfect skin, I just might hate you a teeny tiny bit. Because here winter feels as if it’ll never go away and because of that everyone’s face is chapped and dry. I’m thinking positive spring thoughts, but in the meantime, I’ve had to give my skin some extra TLC. Two things that are (or should be) essential to everyone’s beauty regime is a good facial moisturizer and a good mild exfoliant. Especially in the winter when your skin is flaking more which causes excess build-up. But the moisturizing means nothing if you’re not getting rid of that excess layer of dead skin on your face. Plus ladies, it helps keeps your skin looking youthful longer. So when Nieves contacted me about her hand made natural beauty care line I was definitely interested. Nieves has 17 years experience in the natural cosmetics industry and seriously, look at her. Does she look like she’s old enough to have that many years of experience? Her glowing skin is a testament to her product line. I had the pleasure of trying out two great products: The “C” Perfect Skin and the Face Fix Scrub and Mask. When I first looked at the “C” Perfect Skin I was excited but when I received it, I was a little gun shy about actually trying it because it’s all oils, and my face doesn’t really do well with oils. In the interest of a review I plugged on and wow, my face felt AH.MA.ZING. The oil absorbed into my skin quite nicely, not leaving it feeling the least bit heavy or greasy. I know I shouldn’t have with all the germs, but I couldn’t stop feeling how soft my face was. “C” Perfect Skin is a mix of organic oils and essential oils, making it a great combination for nourishing any type of skin. The Face Fix Scrub is another great product. A mix of clays and natural herbs like Licorice horsetail, chamomile, and rose petal, to name a few. The dry powder gives a nice mild exfoliating ability or you can also use it as a mask for great skin regeneration properties. I love a product with multiple uses! Because it’s mild, it works well with any skin type. And it has no type of cleaning surfactants to dry out your skin. Get it: You can order “C” Perfect Skin, Face Fix, or any of Nieves other products, from bynieves.com. Products are a little more expensive, but did I mention they’re handmade? They’re oh so worth it. Use code LOVELYSAFE when you check out for a free gift with any order. I have, for one lucky person, your very own bottle of “C” Perfect Skin and a bottle of Face Fix. Leave a comment after visiting ByNieves.com. Check out their awesome goods and tell me what you think you’d like the best! Giveaway open to US residents only. One winner will be chosen via Random.org. Entries accepted until midnight EST on March 16th. Good Luck! During an impromptu trip to Whole Foods last weekend I was greeted with the Valentine’s Day displays and was of course enamored with all the pink and red. I spotted a big pile of Dr. Bronner’s Rose soap and decided to treat myself to a bar. I love Dr. Bronner’s products for everything. I use the liquid castille soaps as ingredients for DIY recipes, I use the bar soap for myself and my kids. I also love natural rose scented skin care so I snatched it up. I’ve used Dr. Bronners bar soaps in the past and have loved them.. they lather well, clean great, smell great and last long enough to be worth the cost and not too long that I can’t indulge my addiction to bar soaps. Really, each bar costs a few dollars so it’s not a huge commitment. It cleanses without drying your skin and leaves you with a very very light rose scent. It’s no secret that Dr. Bronner’s is an impressive company – Fair Trade, Certified Organic, eco-friendly packaging, no Animal Testing … do I need to go on? Get It: You can pick up Dr. Bronner’s Soaps in many places like Whole Foods, most Natural Food stores, even Target. Or you can order direct from their website DrBronner.com! Peacekeeper is a company that I admire for many reasons but right now I want to talk to you about their V-Day lip gloss! Peacekeeper launched their V-Day Lip Gloss in honor of V-Day, the global movement to end violence against women and girls. Peacekeeper Cause-Metics is a company that makes great and safe cosmetics that stand for a cause and use all their profits to support women’s health advocacy and human rights issues. Awesome. Their V-Day lip gloss is a natural gloss using organic waxes and butters to create a smooth and nourishing gloss that isn’t sticky or heavy. It’s pigmented with natural minerals and has a sheer yet colorful look. The color in the tube looks much like a siren red but on, looks more like a warm sheer pink gloss. For $10 you get a great gloss, and the proceeds go to a great cause. It’s a win win. Get It: You can order this and other of their products including their other Eco-Sheer Glosses on IAmPeaceKeeper.com!